Up to $150 per Couple Shipboard Credit. Upgrades and More in Select Categories. Special Cruise Fares in Select Suite Categories. Reduced Deposit and Up to $75 per Stateroom Shipboard Credit for Oceanview and Above Categories. Reduced Deposit and Up to $150 per Stateroom Shipboard Credit for Oceanview and Above Categories. $300 per Couple Shipboard Credit. Great Britain with its long-standing history of sites, some prehistoric not excluding Stonehenge are available in our list of 2018 escorted Britain tours. From the vast English countryside to the beautiful palaces, there isn't a shortage of things to do in this country. A 2018 tour of Great Britain is the perfect choice for travelers that want to get the most out of their vacation. An escorted Britain tour can either focus on mainly London and England or stretch into Scotland, Wales, or Northern Ireland. The beautiful countryside is made up of castles, cathedrals and wildflowers. Many of the areas have an immense amount of museum, galleries, bustling nightlife, vast shopping opportunities and an overall regal feel. One of the most beautiful bridges in the world can be found in Wales, Llanwst to be exact.The bridge, which was named Pont Fawr was built in 1636, yes, 381 years ago! The representative I dealt with, Brenda was very courteous and was well informed about my desire to travel to Europe. I would definitely use Atlas tours to secure a future trip and will keep up to date using your website. We cannot begin to say what an excellent job that our travel agent, Cheryl has always done for us, she consistently does an outstanding job. We are not seasoned travelers and she has always been very patient with us. When we inquire about anything her response is both rapid and fitting. If we were to able to travel more she would be our first choice to utilize due to her fine attitude and talent. It was a pleasure working with Brenda Wachs. She provided all the information I needed to book this tour. She was wonderful to work with and when and if I plan to book another tour, I will definitely use your company and Brenda as my travel agent. Burt was very helpful and responded quickly. He had the answers to my questions. He was very professional and did a great job. I want to thank you for all the work that you put into making our trip just right for us. It was wonderful. Whenever the subject of "how did you book your travel plans", we always recommend Atlas Cruises & Tours in Florida and you specifically. And, yes, we beginning to search for 2017 travel. This trip was near the top of our best tours and, as usual, a lot had to due with your support and patience. We look forward to working with you on our 2017 and future plans. This is the second trip I have booked with Brenda. She is so helpful and a sweet voice on the phone. I look forward to booking with her more often! I am very satisfied with Brenda. She does a great job. She booked a trip for us in South America, so we called her again to book this trip. She is very personable and efficient. Customer service was quick, pleasant , very helpful, patient and able to provide all answers to questions and requests asked. I had a very easy time dealing with and i would use the same in the future . Great price and very clear explanations re additional concerns. will recommend to friends and relatives. I wanted to send you this brief note to tell you what a great job Gabriela has done in planning our trips over the last four years. She is efficient, courteous and promptly responds to requests. She goes above and beyond and researches various trip options while trying to get us the best deal. She has saved time and money and makes her clients feel valued and appreciated. Thanks to her, I have not had to haggle with travel and airline companies about trip details or prices. Your company is very lucky to have her as an employee. I wish her continued success with your company. 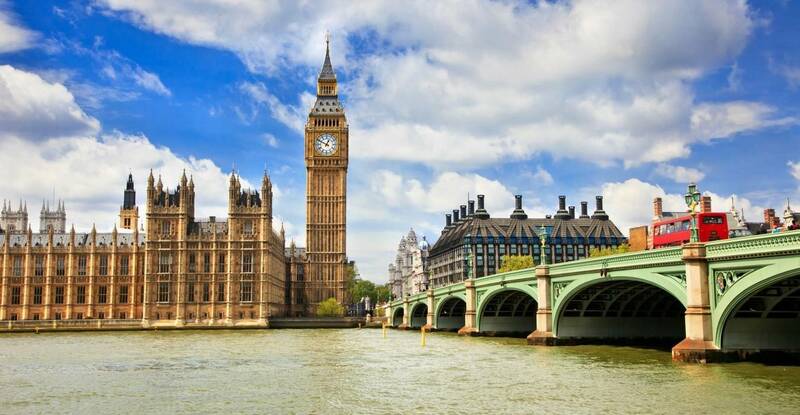 Learn about the newest tours offered in 2019 by Globus Journeys for Britain. Known for brilliant architecture, Great Britain has some buildings that have stood the test of time. Featured in our post are some of the oldest buildings still existent today.